Ra does not need an introduction anymore… Their “9th” album is probably the most acclaimed Suntrip masterpiece ever! 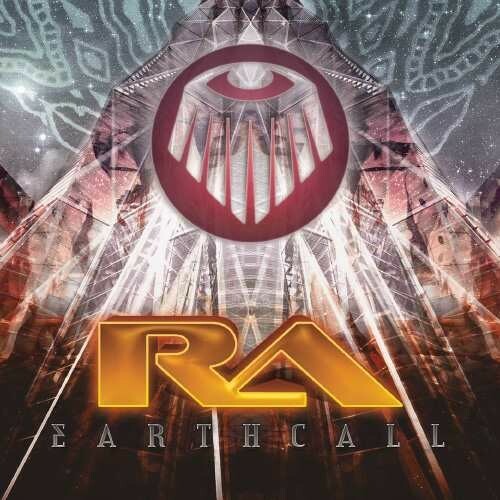 Now, 7 years later, Christer Borge Lunde and Lars Wedde Lund are back… Their deep, trancy, oriental goa-trance touched many hearts already and we are sure you will reach more internal pleasure while listening to this new album called “Earthcall”! The album starts with a slower track, setting the atmosphere for the remix of a classic on the last album: Predator! Warm, soft and blissful music! After this we raise the tempo and the amount of psychedelic sounds! Sacred Sands and Crossing Planet are storming morning dancefloor stompers, followed by 12th hour… Pure divine melodic music for during a sunrise! The last 2 tracks bring us back to earth: Touch a Star has a very melodic calm vibe while Causatum ends the album with a deep stomping ambient track filled with Egyptian melodies! Let yourself guide to the other dimension and back…To all that is… RAAAaaaa This album is crystal-clear mastered by Tim Schuldt!